BS 9251 is the main British Standard covering fire sprinklers in this country. BS 9251 gives guidance for the design, installation, components, water supplies and back flow protection, commissioning, maintenance and testing of fire sprinkler systems installed for life safety purposes with additional benefits for property protection in residential and domestic occupancies. The actual conception of a fire sprinkler system was considered by an English inventor, Sir William Congreve, back in 1812. However the world would have to wait until 1874 until the first automatic fire sprinkler system was fitted by American Henry S. Parmalee. Since then fire sprinkler systems have developed, evolved and become more standardised especially in terms of their design, installation and commission. Taking many aspects from the long established American NFPA fire design codes significant inroads were made in the UK fire sprinkler market with the publication of a full set of British Standards for fire sprinklers in 2004 and 2005. Specifically for domestic and residential fire sprinkler instalations. This standard set the minimum requirements for the design, installation and commission of a fire sprinkler system. Minimum flow rates: 60 litres per minute (lpm) through a single nozzle or 42lpm for multiple nozzles. Minimum design: 2 nozzles for domestic and 4 nozzles for residential properties. Minimum duration: 10 minutes for domestic properties, 30 minutes for residential properties. Minimum nozzle spacing’s: no more than 2m from any wall or corner, no closer apart than 4m. After some 18 months of deliberation the 2014 edition came into force on the 31/10/14. There are noticeable changes throughout with a greater emphasis on consultation with Authorities Having Jurisdiction (AHJ’s) to asses risk, run times and design/ discharge density. No longer the 2 categories of Domestic and Residential but 3 and numbered 1-3 (see below). Each system will be bespoke to the risks including building design or intended inhabitants. Note* Amount of rooms, floors and vulnerability of residents needs to be considered when assigning a category. 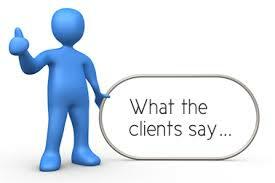 Many factors must be considered when designing a system to BS9251:2014 and full consultation with the relevant AHJ’s. This standard can apply for schools, offices, hospitals, theatres, commercial and industrial premises. Minimum flow rates: 225 lpm for 4 nozzles increasing to 375 lpm for 6 nozzles. Minimum design: 4 Nozzles for Light Hazard increasing to 8 nozzles for ordinary hazard range. Minimum duration: 30 minutes for Light Hazard increasing to 1 hour for Ordinary Hazard range. Each of the above standards apply only to conventional fire sprinkler systems i.e. sprinkler systems which provide water to a sprinkler nozzle either by means of a pump attached to a storage tank or supplied directly by a town’s main water supply. BS 9251 is the only design standard which Ultrasafe apply for domestic and residential properties which have a pump and tank fire sprinkler system or town mains water fed sprinkler system. For a further summary of BS 9251 and details of the key requirements for domestic and residential fire sprinklers follow this link. 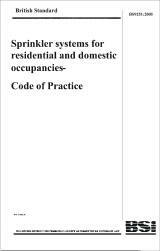 For further technical information and downloadable fact sheets including summaries of the different building regulation relating to residential and domestic fire sprinklers follow this link.